As the gaming industry moves onwards and upwards and each genre evolves, it's interesting to observe how the platformer has come around full circle since its debut. Whereas the rest of the industry strives for more expansive and photorealistic environments or interactive storytelling, the platformer went from having players move from left to right in 2D side-scrollers to wandering around larger 3D worlds, only to find itself right back where it started. This isn’t a negative slight on the genre by any means; some of Nintendo’s very best Wii games have harked back to the 2D platformers have the eighties and early-to-mid 90s. New Super Mario Bros. Wii, Donkey Kong Country Returns, Kirby’s Epic Yarn: these three games — along with numerous other third-party releases — eschewed the fully explorable 3D worlds that platformers had clutched at eagerly for over a decade, instead offering up simple yet addictive side-scrolling fun that taps into the very essence of what makes gaming great. Now they’ve been joined by another throwback, this time courtesy of Ubisoft, and let us tell you right now: it’s a real gem. Like the stellar titles mentioned above, at first glance Rayman Origins appears to be a backwards leap. After all, Rayman 2: The Great Escape and Rayman 3: Hoodlum Havoc are regarded as some of the best 3D platformers not featuring a portly Italian plumber, the former having been remade and ported to nearly every console in existence. However, once you start playing Origins, it’s highly plausible that you’ll wonder why platformers ever felt the need to go 3D in the first place. Origins begins in the same way as all great platforming adventures: a barebones plot that is never fully embellished upon but serves as an adequate reason for our heroes to embark on a fantastical adventure nonetheless. In the Glade of Dreams, the snoring of Rayman and his chums — frog-thing Globox and the tiny wizard creatures the Teensies — isn’t going over well with the Underworld, who return the favour by sending up all manner of nasty creatures to ruin Rayman’s day, as well as kidnap the Electoons and Nymphs and generally wreak havoc. It’s up to Rayman and his pals to travel though the Glade of Dreams, free their friends and defeat the Underworld invaders once and for all. From the moment the introduction plays out, the first thing you’ll notice is just how much of a treat for the eyes Origins truly is. Origins is the first game to make use of Ubisoft’s new graphics engine, UbiArt Framework, which makes for some absolutely stunning environments with a lush hand-painted look. As you progress through the game, it’s likely that you’ll frequently want to stop what you’re doing and just stand there, taking in every subtle animation and nuance present in each of Origins’ 60-plus gorgeously detailed levels, or marvel at just how pristine and vividly colourful everything is. This vibrancy and attention to detail carries through the entire game and also extends to aesthetic variety. Origins’ levels are split up into five themed worlds, which run the gamut from tranquil yet eerie underwater areas to the downright wacky musically-themed desert stages, and no one world resembles the others in any way. In fact, some worlds even possess an astonishing amount of visual variety within themselves and, just as you begin to grow accustomed to a world’s specific mechanics and pitfalls, Origins will throw a curve ball in your direction and turn everything on its head. For example, in one world you’ll be hopping and sliding through what could very well be a giant cooler with giant slices of watermelon and blocks of ice serving as handy (yet temporary) platforms, only to suddenly find yourself in a sweltering set of levels themed around Mexican food, in which jets of flames and bubbling hot pots of chili all attempt to hinder your journey. Make no mistake, Origins does everything in its power to ensure that each time you enter a new world you’ll be presented with a stack of new things to see and experience and as such remains visually appealing and constantly fresh from the very beginning right through to its conclusion. Reaching the end won’t be a walk in the beautifully rendered park, by any means, because while Origins starts out as a fairly standard platforming affair — you can walk, sprint and jump — by the halfway point of the game you’ll have amassed a range of additional skills to aid you in your quest, such as short- and long-range attacks, hovering, swimming underwater, sprinting up walls and even changing size. One area in which Origins inarguably shines is in how it takes all these new abilities and structures its levels around them in a perfectly pitched difficulty curve. While earlier stages task the player with little more than walking around and punching the odd enemy in the face, some later levels require split-second timing and cat-like reflexes as you harness your skill set in environments that are constantly morphing ahead of you. It’s during these sections that Origins is undoubtedly at its very best, helped in no small part by the game’s controls, which maintain a steadfast level of tightness and responsiveness. Because of this, Origins always remains devilishly challenging while being entirely fair; each and every gorgeously animated sprint, leap and hover has the potential to be executed with pixel-perfect accuracy — it’s all down to your abilities and your reflexes — and thus If you wall-jumped at the incorrect moment and missed that rope (or beard) by mere millimetres, then you have no one to blame but yourself. In addition to its splendidly tight controls, Origins forgoes the need for players to concern themselves with how many lives they’re in possession of and also spaces its checkpoints out generously enough so that if you do happen to find yourself in a tricky spot and failing repeatedly, you’ll never have to play through enough of the same section over and over for repetition to set in. The twitchy platforming is accompanied by various stages during which Origins shakes things up a little by way of shooting segments. However, during these sections, in keeping with Origins’ off-the-wall approach to, well, everything, you won’t be piloting a spaceship, but instead riding on the back of a giant pink mosquito. These homages to games such as Gradius and R-Type are not only tremendous fun but break up the platforming action, brilliantly serving up a slice of extra variety. That’s not to say that you’ll grow tired of Origins. As mentioned earlier, the game’s relentless charm and aesthetic variety ensure that boredom remains a non-entity throughout its ten-plus hours running time. For completionists, these ten hours are upped considerably by that mainstay in pretty much every platformer that’s worth anything: collecting a shedload of stuff. As you progress, you’ll not only be rescuing the Nymphs — promiscuous looking fairies who, when freed, bestow Rayman with new abilities — but you’ll also be on the hunt for the Electoons. Enough of these relentlessly cheerful, round, pink things need to be freed before you can progress through to new sections of the world map, in much the same way as obtaining specific amounts of stars stars unlocked previously inaccessible areas of Peach’s castle in Super Mario 64. You’ll be awarded with one Electoon when completing a level, but additional Electoons can be found in hard to reach areas in each stage, or by collecting specified amounts of Lums — the Rayman series’ answer to Mario’s coins — which are scattered almost everywhere throughout the game. The Lums are the basis of the bulk of Origins’ replay value, as not only does collecting them secure you more Electoons, but they’re often laid out in ways that encourage you to take more dangerous routes through the levels, with items such as King Lums that double every other Lum’s numerical value for a limited time presenting a risk/reward mechanic that — should you succeed — will help players secure more Electoons, unlock a myriad of alternate costumes available for Rayman, Globox and the Teensies, shave large amounts of time off their time trial records and should keep those of you who like to collect everything occupied for quite some time. 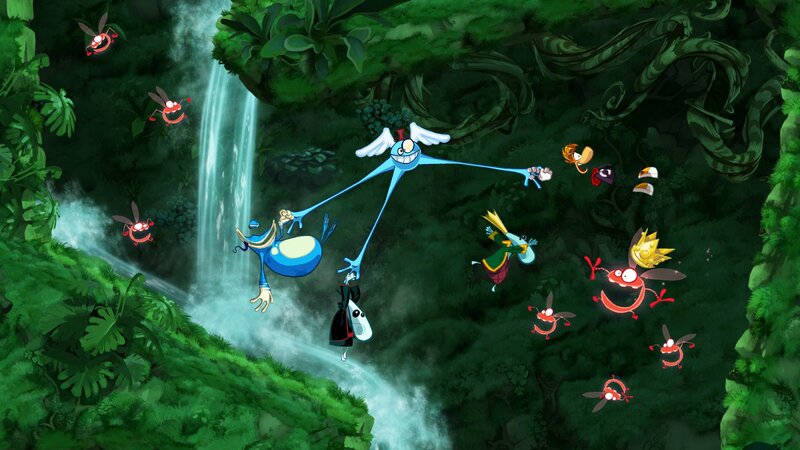 Rayman Origins perfectly embodies what made many of us fall in love with gaming in the first place. It’s a nigh-on flawlessly executed romp through intricately designed levels that boast the most gorgeously detailed and vibrant visuals you’ll see this generation. Tight controls, a perfectly judged difficulty curve, fantastically surreal boss fights and tons of replayability go that extra mile to make sure that after years of being relegated to countless remakes of Rayman 2 and having those pesky Rabbids stealing his thunder, Rayman is back on form and back in the spotlight where he belongs. Drop-in/drop-out cooperative play for up to four players is the icing on an already sumptuously sweet cake. 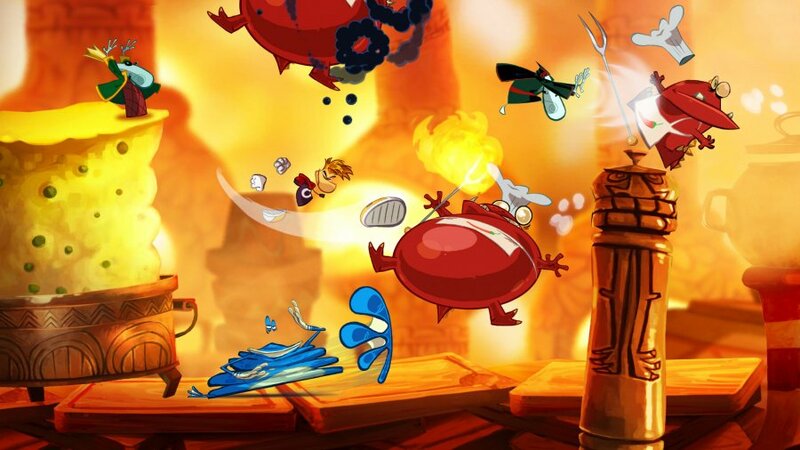 If you have any love for 2D platformers — and the idea of getting your friends together for an encore of New Super Mario Bros. Wii’s four-player action appeals to you — you’ll pick up Rayman Origins straight away. It represents the very pinnacle of 2D platforming and is undoubtedly one of the Wii’s very best games. Truly unmissable. Boom. Best Platformer this year and arguably this gen.
Woa-oh. Hope the 3DS version is this good. The best 2D muitplayer platformer this year. I wonder hows the 3DS version is, I hope its the same great gameplay. This gets 10 and Xenoblade gets 'just' a 9? In all honesty though, this game is incredible. Finally some true Rayman platforming again, instead of Rabbids minigames featuring Rayman in some forme. Wow, wasn't expecting a 10. I haven't given this game much attention at all, but if it's really that good then I guess I will have to pick it up at some point. @Supreme Well, Xenoblade is a 10 in my eyes. Great review and I thought it looked like an awesome game but I wasn't expecting this. I thought it would get a 9. 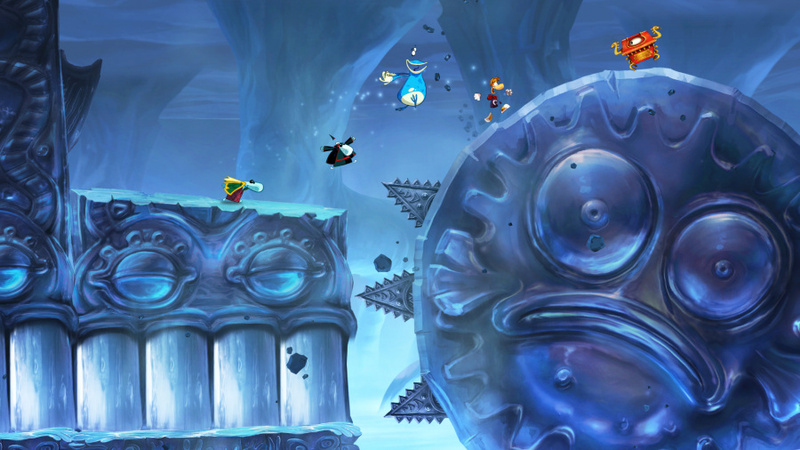 Also, its good to see Rayman back in the spotlight rather than those annoying Rabbids. Super mario galaxy and 2 are better but this is a must buy for me. two different types of game. This is better tha NSMBW. Also if your going to play it do it in 1080p its wonderful. Well, I think BenAV already said the thing I was gonna say but congratulations for Rayman to get back to business. So, I get it, controls are perfect. How is the game controlled though? Can you play it holding the Wiimote sideways like in NSMBW? Or do you need the Wiimote+Nunchuck/Classic Controller combo? Thanks in advance to whoever can answer this! 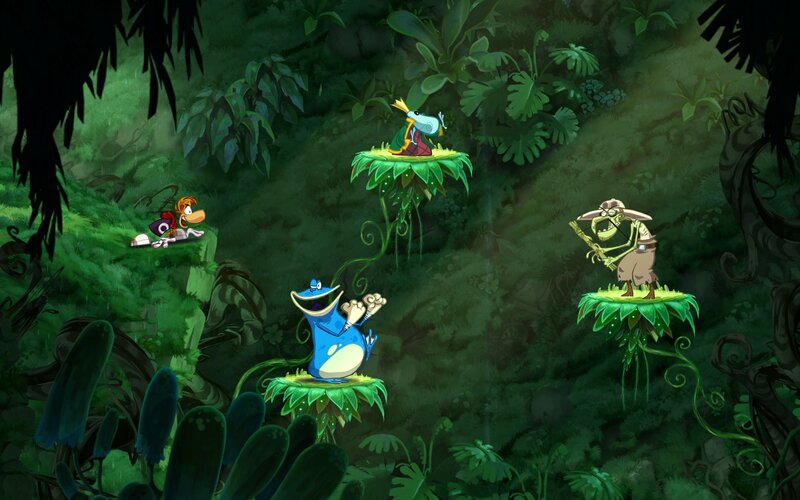 I notice Rayman's got some new fighting moves in this game. He SO deserves to be in the next Smash Bros.
@Burny - They're all supported. The remote/nunchuck combo or the classic controller are your best bet. I used the remote/nunchuck for the majority of my playthrough. Ace review. I'd better whap this on my christmas list. @Mr_Reece Good to hear that all the Wii's different control options are supported. I've already got too much to play right now with Skyward Sword and soon Mario Kart 7 and I have to finish Super Mario 3D Land with Luigi and will probably buy Kirby when it comes out here but this is officially on my list of games to buy sometime early next year. I really wanted this game to do well, and I'm very happy it has gotten such favorable reviews. Every time I see it my memories of Rayman 1 crop up, and I'm reminded I never finished that insanely difficult game.... which I feel I "have" to before I tackle this game. Come at me, Rayman! @BenAV Exactly what I was going to say. Wow. Wasn't expecting a 10. I usually pick up one Wii game a year, and this may be it. Looks fun... don't know if I will get it though maybe if I find it marked down somewhere. As much as I would like this for the Wii it would look better in HD on my PS3. oh wow a 10! I did not expect this to be considered better than either Mario title (I thought it was a possibility but I didn't expect you guys to, to be quite honest). What little doubts I had are gone now. Finally! A true Rayman game after all that Rabbid-nonsense! Huh... 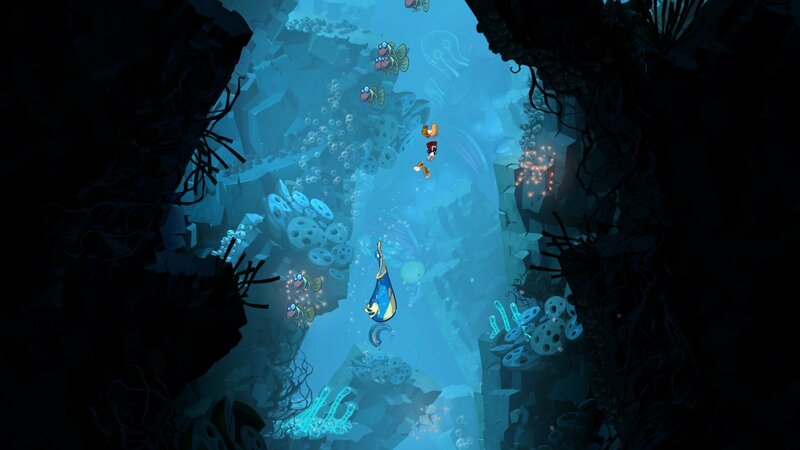 I've frankly always disliked both the art style and the level design of 2D Rayman, but I suppose I'll have to look into this one a bit closer before dismissing it. I'm getting it for ps3!!! I'm still wondering how they managed to make this game work as well on Wii as it does on the HD consoles. If I think about it too hard, will it stop existing? The UbiArt Framework must really be something if it can make art with this kind of detail that can still work smoothly on Wii. Or maybe it just speaks to the versatility of 2D graphics or something. I really want this game. I just don't have money for it. I'll probably pick it up when the price drops. Being a non Mario platformer sadly, it probably will drop. How did ubisoft make a game deserving of a 10? wow, a 10? it must be a very good platformer. and it's good that ubisoft show their potential and creativity through efforts like this one, rather than games such as just dance, michael jackson experience dance games. Didn't expect to see this. . . I'll probably get this down the road. @Lan Probably a combination of Michel Ancel (Rayman's creator) heading the project, and hiring artists rather than engineers. The UbiArt framwork and shielding the team from the studio's influence (back off and let them work!) probably didn't hurt, either. 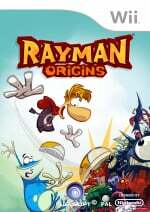 Too bad UbiSoft probably won't learn from Rayman Origins. "How did ubisoft make a game deserving of a 10?" I have been reading @Mr_Reece's Tweets about Rayman Origins, he has clearly been loving playing this game and his enthusiasm for what Ubisoft have achieved here spills over into very word of the review. Reading this, the excitement for Ubi's game is contagious. I am getting this on PS3 for Christmas, I am sure that it will be equally impressive on PS3 and not only am I buzzing to be able to play it as a lushly crafted 2D platformer, but I can't wait for the side-scrolling shooter sections, too. The opening line of the conclusion hits the nail on the head: "Rayman Origins perfectly embodies what made many of us fall in love with gaming in the first place." Spot on Mark, you have provided brilliant detail here and it is a cracking read. This game looks great but it'll be a cold day in hell before I support Ubisoft. I'll pick it up used eventually. I have to be completely honest. This may well be my favorite platformer on the wii. Of course this could be due to some of the other great platformers not being fresh on my mind, but I am undeniably pleased with my purchase. Great review Mark. I can't wait to play this game. I just bought a copy of the PS3 version on Cyber Monday for $39.99 at Amazon and it includes the limited edition art book. Bleh, I dunno, I don't find the art style at all attractive, and it just looks so loose and the sounds, at least from the gameplay videos and trailers I've seen make it sound incredibly irritating. I might rent this, but probably won't. Obviously your opinion. You can't enforce that onto us. Anyway this game looks good. Definitely going to wait until it drops in price. At the risk of sounding biased (loving NSMBWii and DKCR), my reactions to gameplay videos are exactly the same as yours: it looks impressive technically yet somewhat ugly artistically, and the physics / level design seem incredibly loose compared to other platformers. It looks like a flash-game platformer, if you know what I mean (the approach to physics and graphics, not the overall level of detail or quality). In any case, I'm saddened to see this getting 10s across other review sites that didn't award a 10 to DKCR (the greatest achievement in 2D platforming level design in ages). Read quite a few reviews of this game and I am not surprised that you gave this game a 10. Pretty much critically acclaimed across the board. Right up there with DK CR, NSMBWii and Kirby's Epic Yarn.....gonna get this and Kirby's Adventure , not going to wait for the 3DS version now. Woah! Was not expecting a 10. Might have to pick this up... But I will probably be waiting to see how the 3DS version turns out. Great platformer but not sure if better than DKCR. I have to admit that the graphic looks great on the Wii at 50' plasma set (was worried that there will be to much pixels compared to HD but everything looks great). Great review, but I plan on picking this up on the 360. @warioswoods I'd give it a try it might surprise you, though obviously if you don't like the game's art design playing it isn't likely to change your mind on that. Hang on. A Wii port that is GOOD! THE WORLD HAS GONE MAD! This is one of the most well-written reviews I have read, not only on this site but overall. Bravo. Give this dude some more work! And I did come off with the impression that the controls were floaty from the trailer, but if Mr Reece says the controls are tight, I am going to have to believe him! @Viewtiful_Joe If there's one thing I hate seeing in game reviews, it's opinions. I'm a fan of Rayman, but honestly, I'm not really a huge fan of the first game's gameplay, so up until a few weeks before this game came out, I wasn't really interested in it (I figured it would have gameplay like the first game, as they're both 2D). After seeing the rave reviews it was getting, though, the game suddenly caught my interest and I ended up picking it up for the 360. I've played through about 60 percent of the levels thus far, both alone and with friends, and the game is simply fantastic. Not only does it look great and have tight controls, but the game is just...pure fun. Now that we all know the game is good. The question now is which console? @warioswoods, haha yeah, exactly, it's getting ridiculously good scores across the board, so I most likely will end up renting it at the very least, as I absolutely love 2D platformers, just as of right now, it's probably the lowest on my priority list right now tbh. I honestly can't think of a thing I would change in it, besides maybe the way lives are given out between P1 and P2. @Mr. Reece lmao okay, I suppose I'll trust you on the subject of it's controls, especially as that's what everybody seems to be saying, but I'll just have to play it for myself before I can say anything.Just out of curiosity, as anyone here played both the Wii and PS3 versions of the game? If so, which is beter? Obviously the Wii version doesn't have the benefit of HD visuals, but besides that, are the levels and such exactly the same? Awesome game, one of the few Wii games I bought this year, been playing Rayman games since 1995, it would be great if they release Rayman 64 for Wii Vc. Rent. ...And then if I love it as much as you did, buy. ... im not a ubisoft fan.... but I might be tempted... but probably not..
Bought this and Zelda at about the same time, and am having WAY more fun with this. In my opinion the best Wii game (and console game) this year. Holy hell. If the 3DS version is anywhere near as good then I'll just have to buy it. I loved the original Rayman, and this seems to do it justice. Wow, I'm surprised. Well, NL surely loves 2D platformers. Would be getting this sometime after the holiday season. I can honestly say this blows NSMB out of the water. .
Ubisoft can make a good game. They just don't most of the time. You have to do your research with an Ubisoft game unlike say, a Capcom game. Capcom is a pretty safe bet most of the time. You may not get a 10 out of 10 but it will be above average. I don't have much respect for Ubisoft because their highs are high but their lows are sooooo low and they don't really care. Any chance of an update on the 3DS version? I am holding out for that one but will cave if it's not up to the same standard. Absolutly great plataformer, my favorite genre, but I prefer get it portable, I'll wait for 3DS version. @MVP. Yeah, me too. It's 'interesting' that people say they prefer the HD version over the 480p edition of the Wii. I mean, aren't there any other differences? For me, the Wii's controller methods are much more comfortable than the PS3 controller for example. They should have made use of the Wii remote speaker too. That's an awesome feature not used much. Anyway, for me 3D trumps HD, so I hope the 3DS version runs smoothly, and since it's portable, it will be the ultimate version. Nice to finally read a full review of the game. I checked out metacritic and saw how many fantastic scores it got. After seeing that i didn't feel the need to really read any of these reviews anymore. I just had to order it right away. Even if there was a 3DS version now, the Wii version would be my priority because of the multiplayer. I will most likely still buy the 3DS version when i can get it for about 15 €. Anyway i think it's fantastic to both have an amazing Ubisoft and a true Rayman platformer on the Wii. This console really is a treat to us 2D platforming fans and in terms of presentation and unlockables even expands on the awesome experiences had in the SNES days. Hopefully it will be as good on the 3DS too. PS: Kudos to all the DKCR love here. While i don't think it's exactly as good as DKC2 and 3 it's certainly one of the very best platformers of the last decade. PPS: Recently been playing through Kirby Mass Attack and man ... what a love letter to gaming and creativity this one is. Wii version has 5-10% higher average than the other titles. Wii gamers appreciate games like this more. If the 3DS version is as good then I'll get it. Really surprised its a 10. Shame it will be a sales flop though as its being unnoticed in the run up to Xmas and the focus on Zelda (and annual shmups on 360 & PS3). Tesco was selling this for £25 in store yesterday, methinks I'll be heading back there later. I'm a big platformer fan, and this is probably my new favorite of all time. It's amazing in so many ways. Very well-deserved 10. I've been playing this more than Skyward Sword. And here I was getting ready to rant about the score, but this is a very well-deserved 10/10. Grrr, why does EVERYONE jump to Kirby's Retarded Yarn as an example of a good platformer? It was terrible! ESPECIALLY compared to Kirby's Return to Dreamland. @Godot: Sure it was cutesy and slow-paced, but it was playable and creative. It's okay if you hate it, though. Could I be looking at the best third-party Wii game? From UBISOFT?!?!? 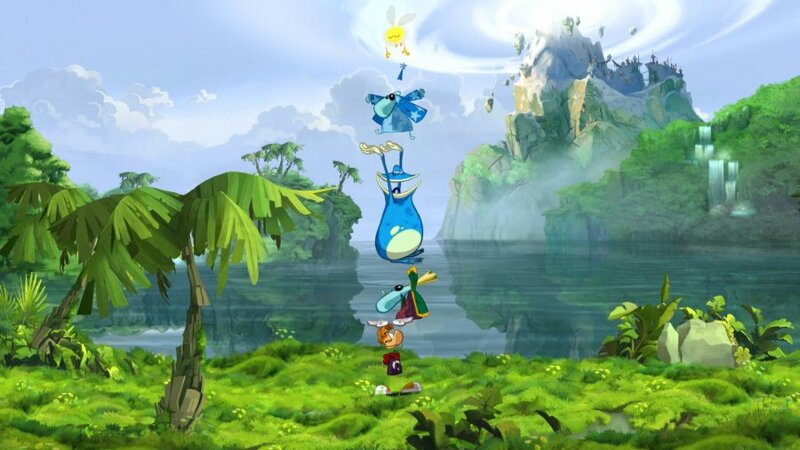 I love the modern era of multiplayer platformers, so Rayman Origins will definately be a game worth putting in my Wii. Besides, those stinking Rabbids aren't in it. I'm going to get this on one of the HD consoles, but it looks like a great game. @10 How could you say SMG 1 and 2 are better if you haven't even bought this yet? Woah, didn't expect a 10! I need to play my copy of the 360 version soon. Because @10 is a stupid fanboy who would give Mario the highest praise no matter how bad a game he was in. It's available for 25 € on amazon.de today. Wii version only. Whoa, a 10! That's very high! I bought the game and so far I like it. But it's certainly no DKC Returns, in my opinion! You're forgetting the fact that it's an amazing game. @vonseux I have to disagree about the flying sections, they're much better implemented than the mine cart and rocket barrell sections in DKCR...those sections (particularly in the second half of the game) became little more than frustrating memory tests for me even though I loved the game overall,,,so far, with the flying sections in Rayman Origins, I've never found them unfair or been hit by something that came at me too fast to react to. And all levels certainly don't look the same on each world..,maybe a couple look similar to each other but that's all. Not had a chance to try the multiplayer yet. Woah a 10/10 I thought i was a stupid game cus of the silly misleading graphics and characters and also enemies but a ten must really mean its good. Just picked up this game for 19 Euro's on play.com. Oh yeah! I know it's months later but anyway - glad to hear of the multiple control schemes, that Dpad hurts my thumb after awhile. And I'm a big fan of "choice" in general. Wasn't going to get this but played the PS3 demo and was like "wow, this isn't a cheap free flash game, it's actually good". Bought it on the Wii only b/c TRU was out of stock on the PS3 version, hope the graphics aren't too horrible, Disney Universe was such a let down on Wii after playing that demo on PS3, it was like "Arrgh, my eyes". Great overall review, though please, for future reference, always mention control schemes. This will be a serious issue once the WiiU comes out and people wonder whether it's Wimote compatible, touichscreen compaitble, or simply button based. EVERY SINGLE WiiU GAME will be a conundrum. Is there going to be a review of the 3DS version? I saw it at Gamestop and I don't want to put the money down on a handheld version of a multiconsole game without a review. It's not out until March, so if we do review it — I don't know if we will be yet — you'll have to wait a while, I'm afraid. i actually prefer this game to DKCR. I can't believe i'm saying this. I prefer NSMBWii but not becuase its a better platformer technically or artistically. An all time great, it really is. WOW. This game is absolutely incredible. It is the best 2-D platformer I have ever played....actually....one of the best video games I have ever played...period. Playing the Legends demo on the U then going back to this really shows that the controls for this game really aren't very smooth at all. They nailed it in Legends, but the loss of momentum while jump attacking and floaty jumping make the platforming more fiddly than it should be in Origins. There's also some of the art blending in awkwardly with some of the platforms making some jumps harder than they should be. Don't get me wrong, this is a great game, but it's not something I would give a 10. Legends is certainly shaping up that way, though. That game flows extremely well control-wise.